‘Tis the season to be jolly! And busy. It seems we just can’t catch a break anymore. Our world of instant information has collided with our physical space. Our own sense of urgency in completing tasks, returning calls, and following-up with prospects has reached an all time high. So much so that often we don’t know where to start when we do get the chance to sit at our desks and catch up on the overdue tasks we scheduled for ourselves in our CRM. 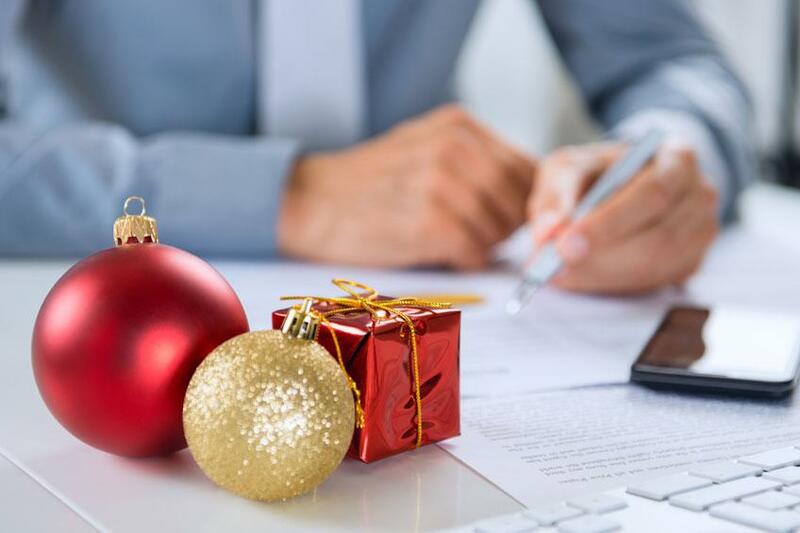 Here are some tips for getting through this busy holiday season without adding additional stress while increasing your effectiveness as a marketer or sales person in the process. Many sales counselors still feel the pressure to plan and make as many calls as possible in each day, often over-scheduling themselves, only to find they’re always working on overdue tasks and playing catch-up. The reality is that quality beats quantity every day. You’ll find yourself with more sales, lower stress, and higher job satisfaction if you simply schedule fewer calls, and take the time to get to know your prospect in the calls you do make. Find out what drives them and their decision-making process. In the CRM world, we’ve learned some great best practices to manage your time and overdue activity. First, complete the tasks you’ve scheduled for that day before doing anything overdue. That way, your overdue list won’t get any longer and you’ll be able to chip away at the old tasks without adding to the list. Second, don’t put a high number of calls on your agenda for the day when you already have appointments scheduled. You know you won’t make that many calls. It’s okay to change the due date to something more reasonable and spread your work across a longer time frame. Instead of writing notes in a notebook and transcribing them into the CRM after the appointment, or worse yet, waiting until the appointment is over and you’re back at the office to enter notes from memory, use a tablet on your tour and take notes directly into the CRM while you’re with your prospect. This eliminates double work in the case of entering handwritten notes. It also keeps you from forgetting vital conversation points in the case of not taking notes at all during the appointment in the hopes your memory preserves until you’re back at your desk. The prospect won’t feel like you’re neglecting them. They may even appreciate you writing down what they tell you. Bonus: you can take pictures of the apartment they fall in love with and email them to the prospect in real time. With Continuum CRM, you can attach those images directly to the prospect record so you don’t have to search for them later. The age-old debate between marketing and sales is whether or not to dump old leads. Fortunately, today there are ways to get rid of inactive leads/prospects from the sales person’s daily view without completely removing them from the database or excluding them from your marketing campaigns. Continuum CRM allows users to segment the database into lists, and sales process steps so you can work more effectively with your actively engaged prospects, while still allowing marketing to interact and mail to those not yet interested in speaking with a sales person. This keeps the sales people focused on selling and not chasing old leads for the sake of hanging on to the possibility they might warm up in the future. Increasing the temperature of a lead from cold to warm is the job of marketing. We have worked with a lot of customers who have legacy CRM systems with subjective tools that measure prospect readiness. This leaves a lot of guess work on the part of the sales person and leads to huge disappointment when a prospect suddenly goes cold for no apparent reason. Such subjective ranking doesn’t work with todays consumer. Having a repeatable sales process based on relational selling does. Incorporate it into your sales culture as well as your CRM and you’ll find sales increasing. Continuum CRM supports sales processes for virtually any line of service in Senior Living. Selling in Independent Living or a CCRC is different than Memory care or Skilled Nursing. Your CRM should support the different services, so your team has a tool that reinforces best practices. Your CRM should support all marketing and sales efforts, not just be a vehicle to track phone calls. As consumers become more digitally inclined, you’re marketing efforts will need to do the same to be effective. Marketing Automation is coming to Senior Living and you need to be prepared. Continuum CRM has an open API and robust integration capabilities to deliver transparency of your digital marketing directly to the CRM. Know the online behavior of your customers by integrating your other software systems with your CRM. It may be counterintuitive to reducing stress, but the winter season is the best time to consider a change to your existing CRM. If your system doesn’t support the objectives of your team and cannot integrate to other software systems, now is the time to change. Before you know it, spring will be here, along with the promise of new construction, new prospects, and old prospects suddenly ready to move to your community. Ready to consider a forward-thinking CRM? Check us out at www.continuumcrm.com and request a live demo today.